Have I mentioned before how much I love pumpkin? What’s really funny is that I didn’t start eating pumpkin until I was a young teen. You see, the only way I had tried it before that was in the form of pumpkin pie and oh my, but I didn’t care for that at all! Then, someone served me a pumpkin muffin and to be polite, I took a taste. Whoa. That was not the flavor or texture I had come to associate with pumpkin. I really liked it. 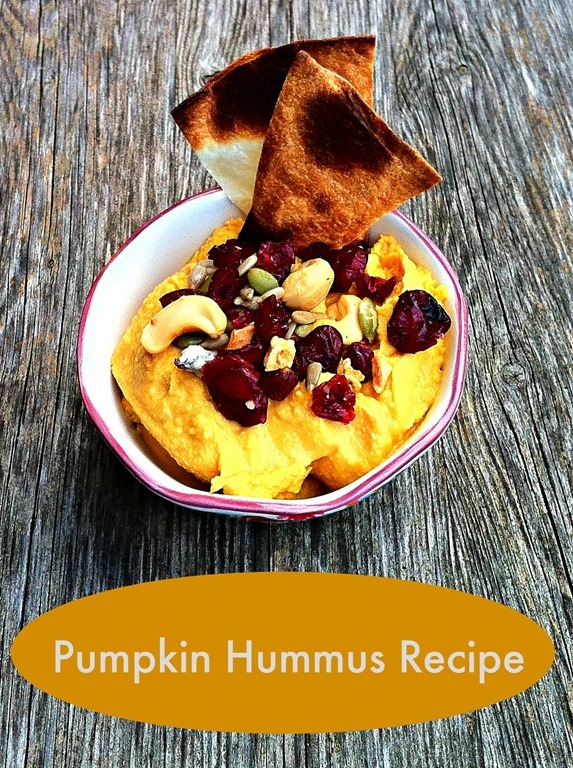 I began to experiment with making all things pumpkin – my pumpkin and cream cheese swirl loaf, pumpkin ravioli, pumpkin bread pudding, pumpkin polenta, and now this delicious pumpkin hummus. Now, here’s the thing about pumpkin recipes. They don’t always need pumpkin spice in them! Shocking, I know. 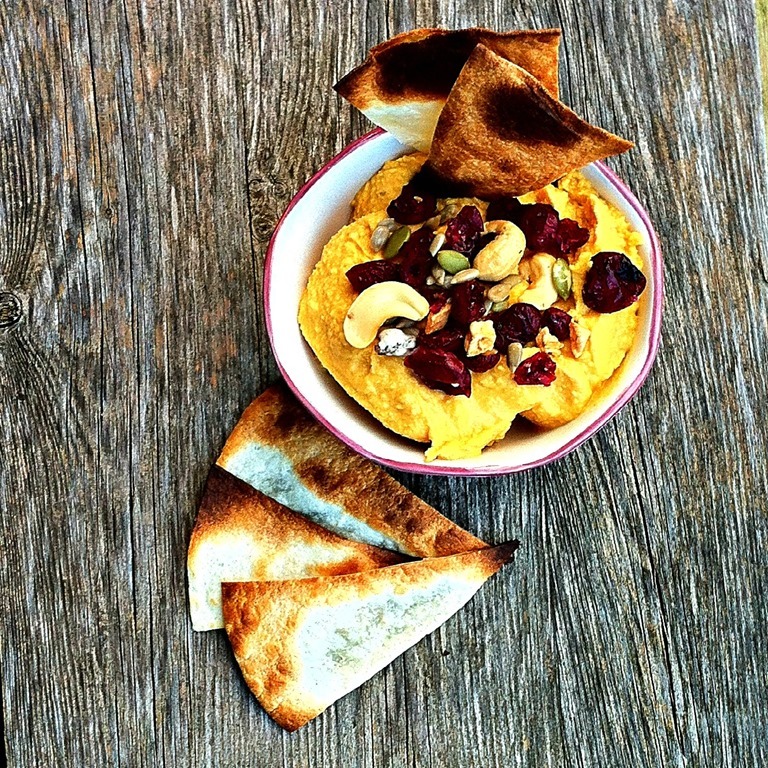 There are other flavors that work really well with pumpkin and that’s what I’m going to show you with this pumpkin hummus recipe. Don’t worry – you can still go the pumpkin spice route if you want to. I made my own tortilla chips to serve with the hummus. I set my oven to 350 degrees F and cut flour tortillas into triangles. Place on a baking sheet and bake for 5-8 minutes until golden brown. You can leave them plain or add some seasoning to them too! Try brushing lightly with a bit of olive oil or spray with olive oil or coconut oil Pam and sprinkle on some cinnamon and sugar or Truvia. These go really well with the pumpkin spice hummus. What’s your favourite kind of hummus?